Built an app? Want people to install it? Drive engagement with your app with the new App Install Ads, currently in pilot for all US advertisers. App install ads are a new ad format to help you drive people directly to your app on Apple App Store or Google Play Store. 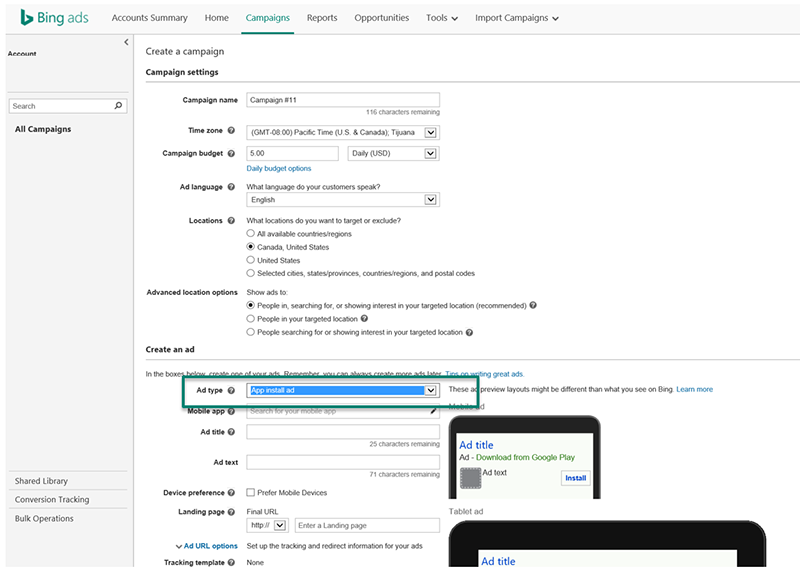 Similar to other ad formats in Bing Ads, you’ll find App Install Ads when you select the ad type for the campaign you want to run. Why Use App Install Ads? Best yet, these ads come with smart targeting: they automatically detect the user's mobile device and operating system, sending customers to the corresponding app store: Apple App or Google Play. 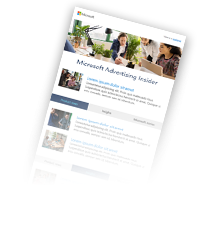 You can check the effectiveness of your app install ad by setting up easy conversion tracking: this functionality is supported through our certified partners: Appsflyer, Kochava, Tune and Apsalar. There is no display URL. All clicks direct to store download page. Available only to customers enabled with Upgraded URLs. Available only for Apple & Google apps. No support for Windows or Windows phone. Available in API and for Bulk upload. Not available in BAE. Are you interested in getting early access to this feature? If you don’t have an account team, please sign up here (all we’ll need is your Customer ID to get you started). If you have an account team, please contact your account team to sign up for this pilot. We're collecting your valuable feedback and fine tuning the experience for the next couple of months. Stay tuned!